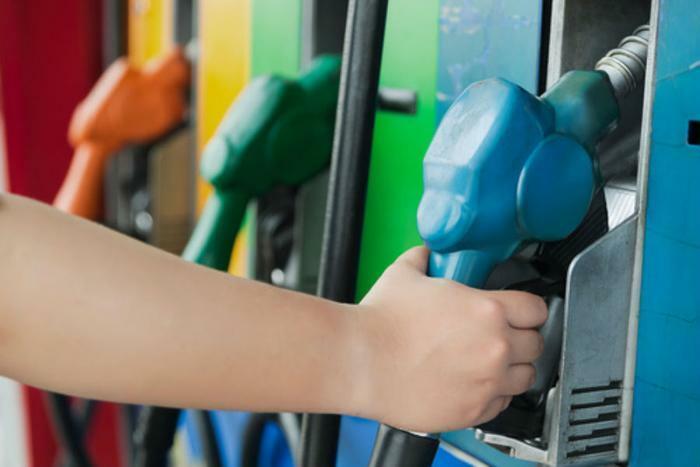 Gasoline prices have risen in the last four weeks, pushed higher by a rise in oil prices and a larger than expected drop in gasoline stockpiles. The AAA Fuel Gauge Survey shows the national average price of self-serve regular is $2.33 a gallon, a dime a gallon higher than a month ago. Half of that increase has come in the last seven days. The average price of premium gas is $2.85 a gallon, up seven cents in the last month. The average price of diesel fuel is $2.49 a gallon, five cents more than last month. Motorists in Indiana saw prices at the pump surge 26 cents a gallon in the last month. Prices are up 20 cents in Ohio, 17 cents in Michigan, 15 cents in Kentucky, 13 cents in Florida and Oklahoma, and 11 cents in South Carolina and Kansas. After flirting with the $40 a barrel mark, oil prices are back around $50 a barrel, increasing the cost of making gasoline. But motorists who have watched the mid-summer rise in prices at the pump probably should not be too concerned. As oil prices get back to $50 a barrel, U.S. production usually increases, bringing prices back down again. West Coast gasoline prices, among the most expensive in the nation, remained stable last week, with the exception of California. AAA says drivers there saw prices jump due to an equipment breakdown at Phillips 66’s Wilmington, Calif., refinery and ongoing planned maintenance at Tesoro’s Golden Eagle Refinery in Martinez. Even so, the Energy Information Administration (EIA) reports West Coast gasoline inventories actually rose after a significant one-week drop. Prices there should not go much higher. States with the cheapest gas this week include South Carolina, Alabama, Mississippi, Arkansas, Missouri, Tennessee, Oklahoma, Louisiana, Virginia, and Texas. States with the most expensive fuel include Hawaii, California, Alaska, Washington, Oregon, Nevada, Pennsylvania, and Idaho. With another month left in the summer driving season, gasoline prices could well drift slightly higher in the coming weeks. However, prices normally start going back down after Labor Day, when demand falls and refineries switch over to producing winter grade fuel, which costs less.